Today I again ran into my friend from studying abroad and her friend. We got to talking about how as soon as anyone hears that you're in law school they'll start asking how incredibly difficult it is or mention that their cousin or someone goes to law school and they know how hard it is. 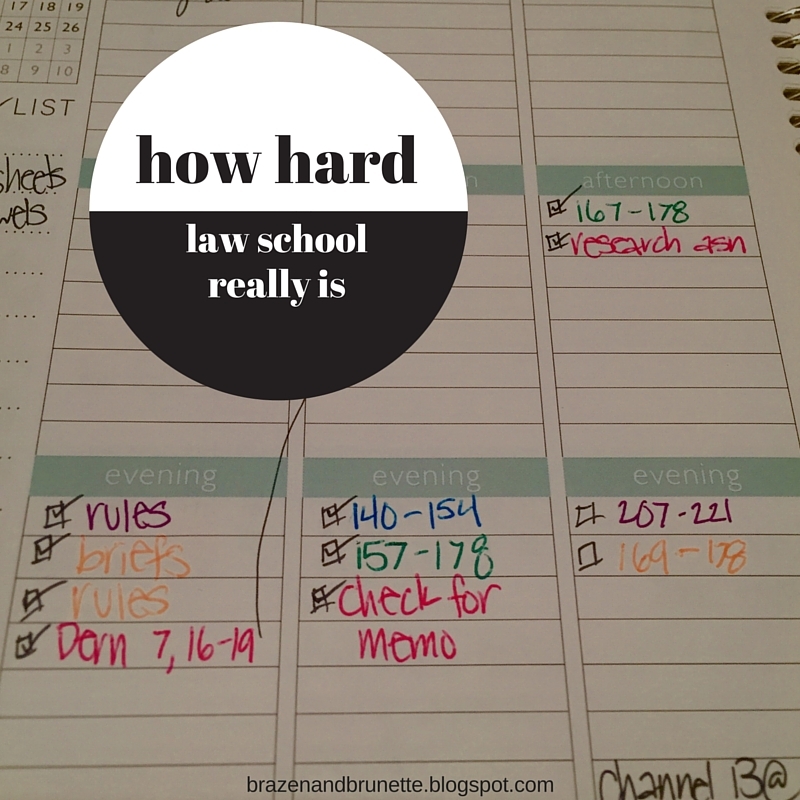 This might change, but my overall opinion is that law school isn't that hard. Really. Your professors will say read these 10-20 pages, and write summaries about what you've read. That is not hard at all and anyone who could went to high school knows the skills of how to do this. And the part how people always comment that you have no social life and are always studying and blah blah... yeah how is that so bad? Forget all of the wonders of higher education, I went to college to have a damn good time and get a degree that I may or may not one day use to get a job. I came to law school to study and learn law. That's it. I never anticipated law school to be full of going out to the bars every night and partying by the pool every summer. Law school is just school. Probably the hardest part is learning how to analyze thoughts, and anyone can do that if they work on it. If anyone out there is scared of going to law school, absolutely don't be. I'd describe law school just like I'd describe joining a sorority: it's a big time commitment and you get out of it what you put in it. Does that seem so impossible to you? I'm not saying you won't be busy. During my lunch break my sister called to give me a run down of the wedding dress that she had just picked out, but I had to tell her I couldn't talk because I had to write up the briefs for my next class since I didn't have time to the night before. And I had to talk to her on my drive home because I knew that as soon as I got home I'd have to work on my research assignment and readings and briefs for tomorrow. Modern family is having it's season premiere tonight and I literally put it in my schedule so that I could be able to watch the new episode and still make sure I got everything done. I'm actually typing this during a commercial break because now I'm pretty much a master at utilizing and maximizing my time. My point here is just anticipate that you will actually have to work for your classes, and law school isn't bad at all. "The first year they work you to death" is crap because they don't give you a crazy amount of work, but they do expect you to do your work. I'm done with classes by either 2 or 3 every day. I usually have 20-40 pages to read for both of my classes combined, every day. I usually try to go to bed around 11, so thats 8 whole hours to get every thing done. Plenty of time! Plus I have the weekends where I can get a head start on my readings so usually I read a little less than 20 pages a day, every day. If you think of this as just a regular fiction book that you're reading, that's actually a really slow pace. And while the finals seem daunting, it's nice that I'm not having 3 midterms all pile up or being stuck with a paper, quiz, assignment, whatever all due for different classes but on the same day like in undergrad. 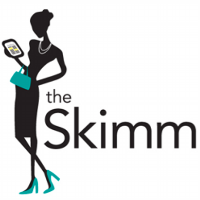 Finding your blog today has completely changed my outlook! 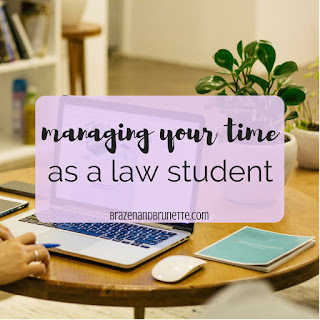 I'm starting law school in August and your blog has calmed my nerves (slightly, it's still a huge deal) but also given me a lot of insight. I'm so glad you made this blog and even happier I found it. Keep it up! I know I'll be coming back here probably everyday. Thanks Paige! I'm sure you'll find that most of your worries are calmed by the second week. Good luck this fall, and feel free to comment or email me if you have any specific questions about law school! Thank you, this really calmed me down a bit- (I am starting my 1L year in a few weeks). Good that was my goal! I hope that if you start out thinking that it will be manageable, you won't get overwhelmed by the stress once your professors start having you read a lot. Don't worry, you'll get adjusted to all this change these next few weeks! I am preparing to take the LSAT in September of 2018. I plan to attend school after I finish my contract in the Marine Corps. Finding your blog has been a blessing. Hi Mal thank you so much! Best of luck on the LSAT!!! Did you get a job yet?